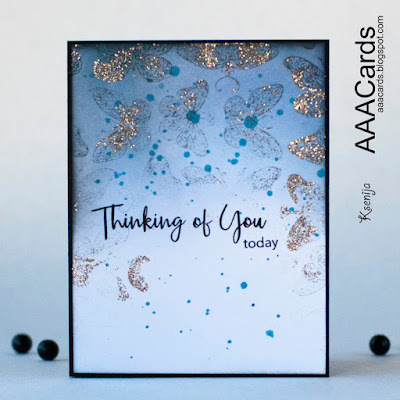 Today AAA Cards is joining in with STAMPlorations to celebrate and acknowledge the artistic and creative talents of Melissa Lane. Last October 2, Melissa (https://honeybeelane.wordpress.com) passed away. 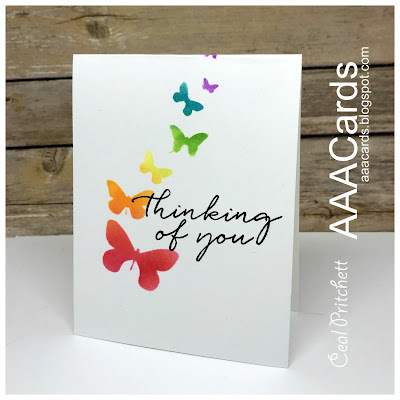 She was a talented cardmaker/crafter/artist, a mother of 4, wife, and servant of Jesus. Melissa loved to garden and she loved photography. 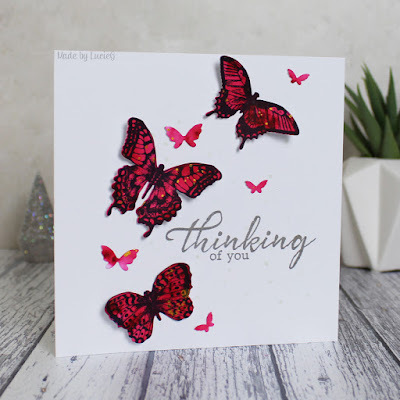 Her favourite colour was red, and she loved butterflies -- so much so that many of the cards and other projects she made had butterflies in them. 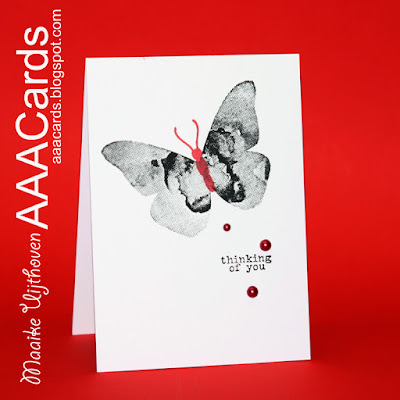 She was a valuable part of the STAMPlorations Mixed Media team and AAA Cards CAS team. 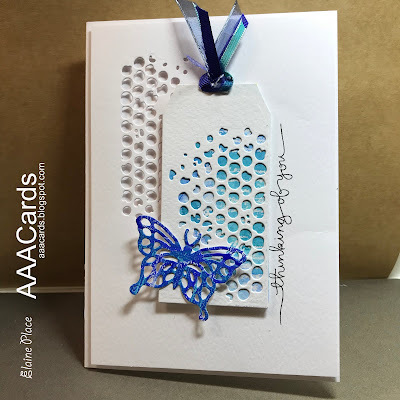 If you knew Melissa when she was alive -- maybe you were on the same design team(s) or you were bloggy friends -- however you knew her, we'd like to invite you to join us in celebrating her life by creating a butterfly card in her memory. 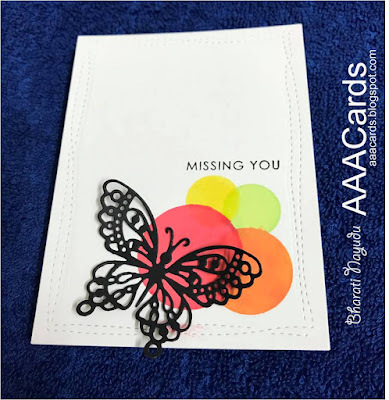 You may blog about the card you make as a tribute to her or not, but either way, you can add your card to Melissa's Butterfly Gallery (an InLinkz linky) that will be found on the STAMPlorations tribute post. The linky will be open until October 31. And should you wish Melissa's family to have your card, you can mail it to the address below. 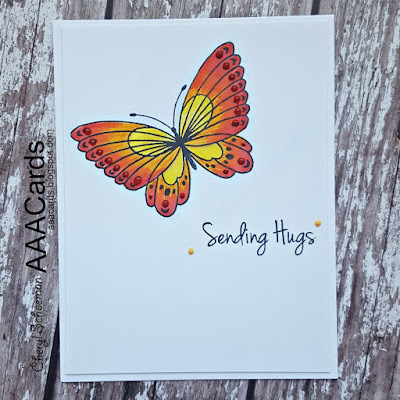 Shery Russ (STAMPlorations owner and Melissa's friend) will collect the butterfly cards, put them in a box, and mail them to Melissa's family. Finally, here is a message from Melissa's husband, Chris. He posted this as a comment on Melissa's blog but he gave Shery permission to pass it on in any way that it can reach a wider audience. "Hello everyone. This is Chris, Melissa’s husband. I have been blessed by the outpouring of so many people. I know it is difficult to mourn from long distance. If you’d like join the community going through this together, please go to our farm Facebook page @Mainepromisedlandfarm. Gardening and planting flowers were Melissa’s other creative passions and she had worked hard to get our farm to where it is today in just a short period of time. Please read along as my family and I walk through this trial and be able to encourage us as we encourage you with what God is doing to get us through. Blessings, grace and Peace. What a lovely idea. I hope you will get a lot cards. I can not send one at the moment but. Will try to make one in her remembrance. Rest in peace melissa..
Lovely cards and lovely gesture! Melissa would love these beautiful butterflies.